If you would like to see a list of all products from TFA, then please click here. From a total of 28 TFA products 28 are directly available . We've had TFA products in our range since 2014. To inform our customers in detail about TFA products we currently offer 627 media, reviews, test reports as well as interesting additional information on our website, for example 215 pictures, 27 different 360 zoom images and 385 customer reviews. 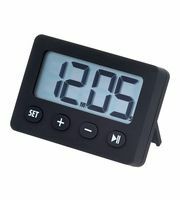 Among our top sellers there are 19 TFA products at the moment e.g. 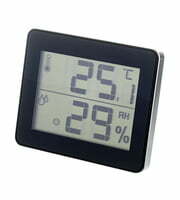 in the following product categories Hygrometers and Thermometers, Hygrometers and Humidifiers and Hygrometers and Humidifiers. 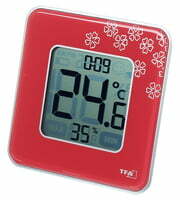 The absolute TFA best seller is the following product TFA Digital Thermo-Hygrometer. This item has been sold more than 5.000 times. We also offer our 30-Day Money-Back Guarantee for TFA products, a 3-year warranty, and many additional services such as qualified product specialists, an on-site service department and much more.